Chic Bridal Anklet - bridal jewellery - wedding dresses - Hello Lovers Aust. The Chic Bridal Anklet is pure, earthy and made for you. This boho inspired range is for the care free bride to be. Feel the earth under your feet and be connected to mother nature as you walk down the isle. 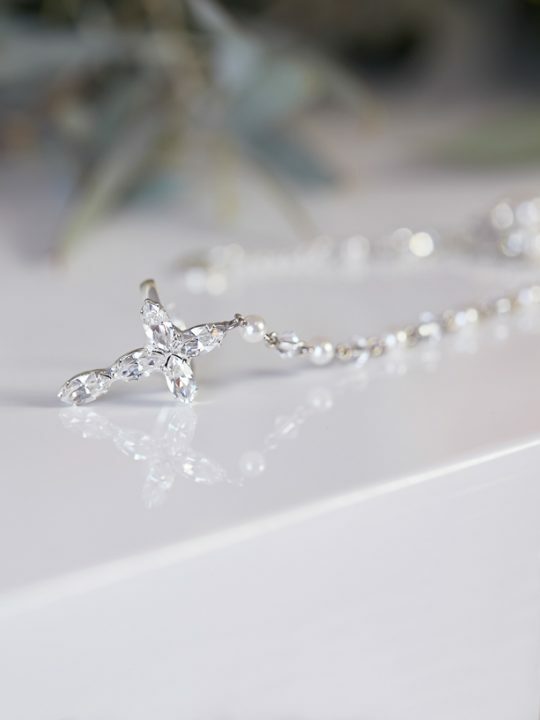 Be free with the Chic Bridal Anklet. Wear one as a feature piece or two as boho styled shoes. 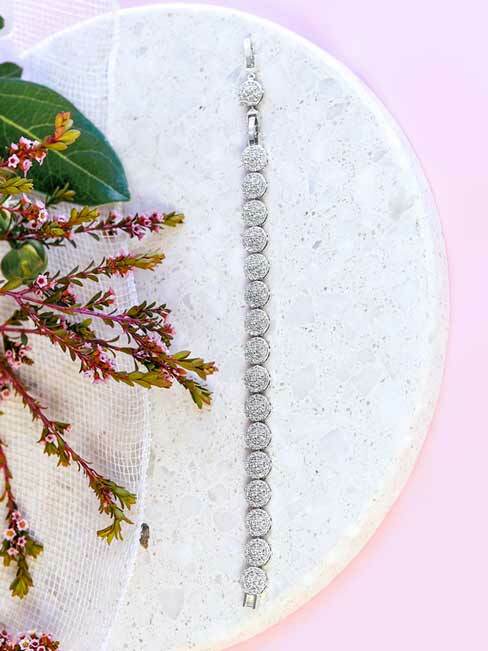 Every bohemian bride needs the Chic Bridal Anklet to complete their wedding day look. The bohemian theme flows through with the classic settings and adjustable bracelet chain. Beautiful for a bare foot bride walking through the sand or grass toward her groom. You can wear a bridal anklet with any style of wedding dress. 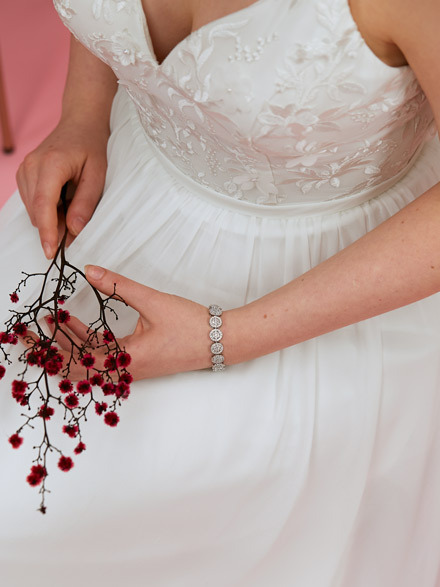 If worn with a ballgown style wedding dress the anklet will only be seen when the bridal garter is taken off by your groom. However if worn with one of Hello Lovers boho stye wedding dresses with a split it becomes a feature of the gown. Seen only while sitting and walking. Sparkling in the sunlight with every step taken. Truly a unique piece of bridal jewellery. Low catch, no claw settings. Come individually, available in Silver. The anklet is packaged in our signature pink silk Hello Lovers box. 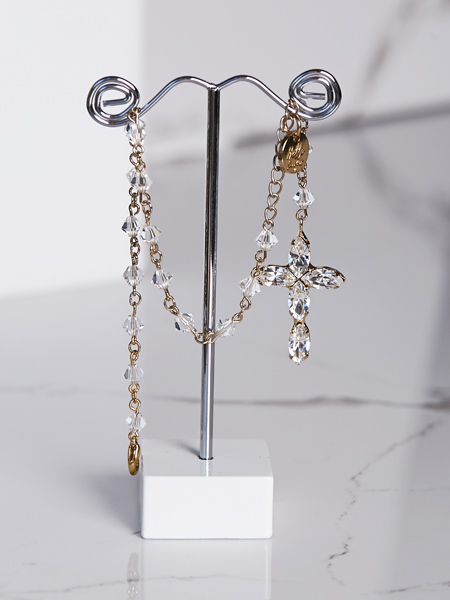 The Chic Collection offers a number of matching bridal jewellery pieces, consider the Chic Bridal Necklace and the Chic Bridal Earrings.